1944. 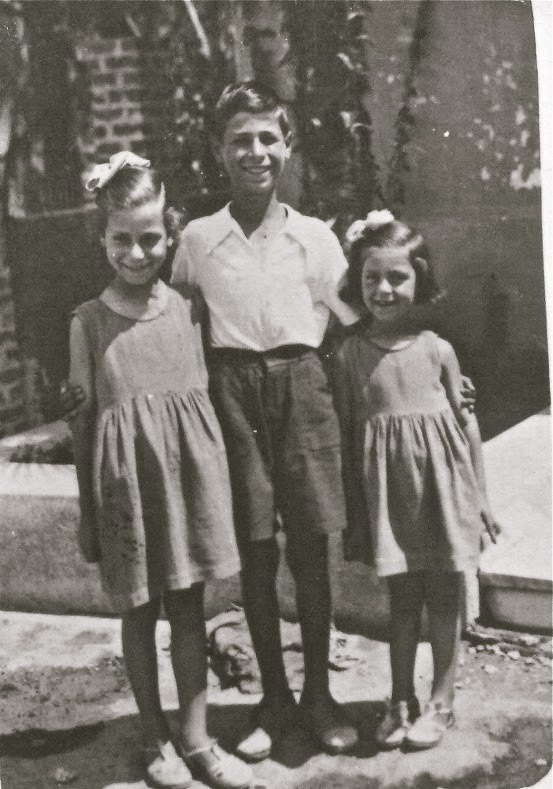 Sultanitsa's children, at Serron 10, Salonica, with the boy, Apostolaki, in the middle. 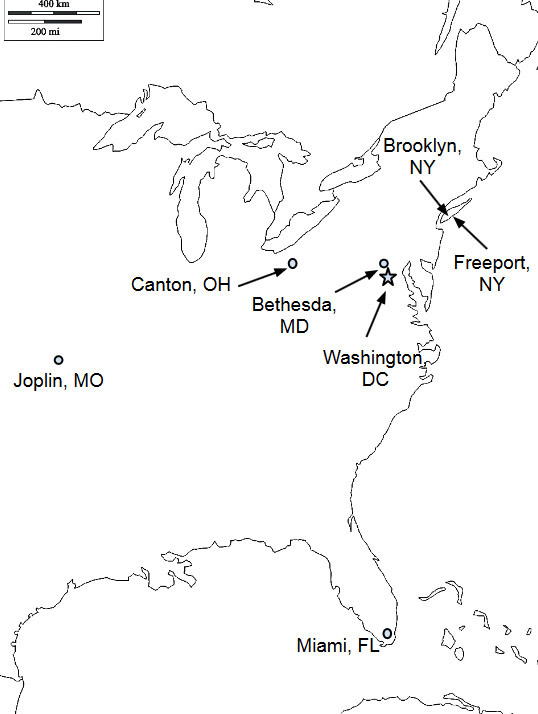 The girls' names have long since been forgotten. April—December, 1944. 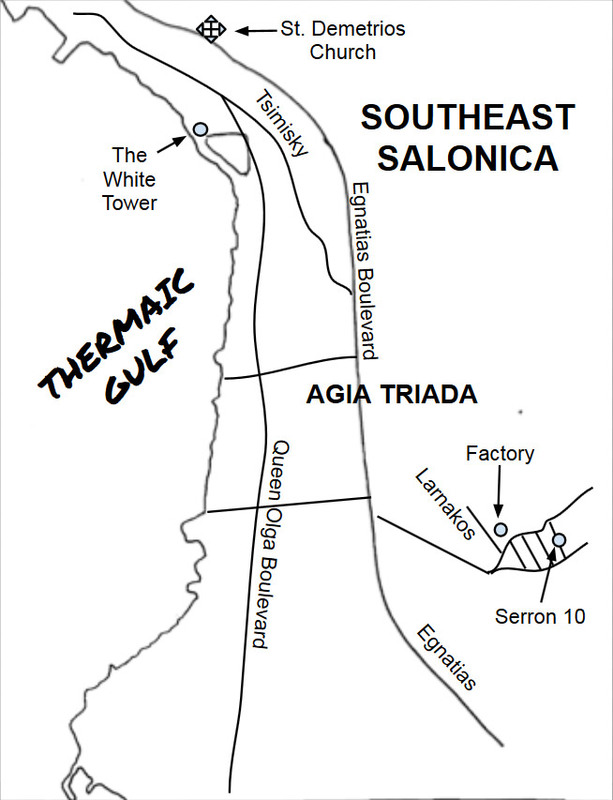 The author's drawing of the Jewish textile factory where the wireless was hidden. To the right, the house where four German officers lived, and the location of the card table where they often played bridge. 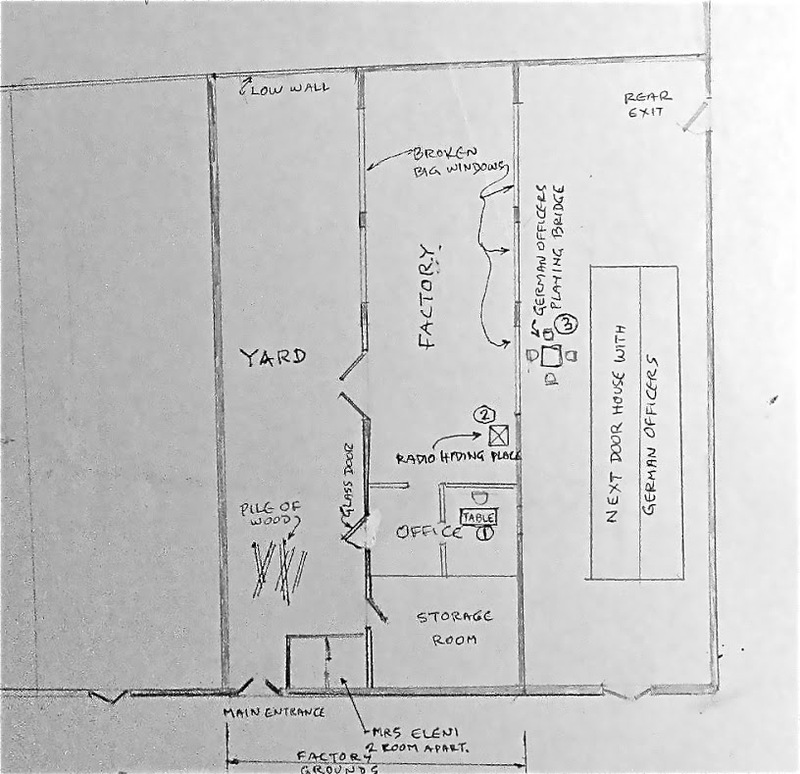 Mrs. Eleni's apartment is at the bottom of the drawing. June, 1944. 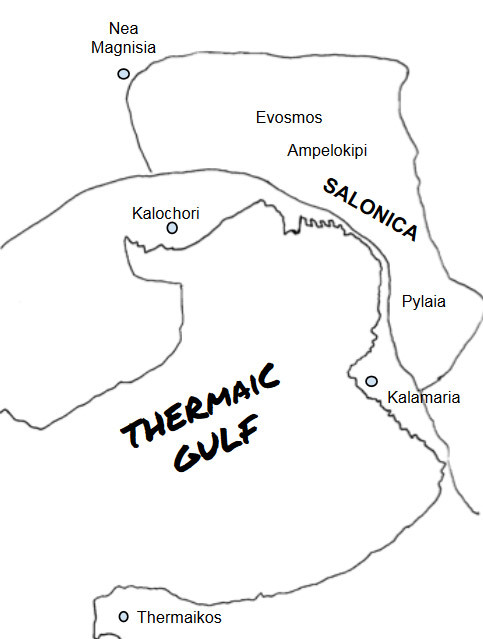 The textile factory's yard in Salonica. 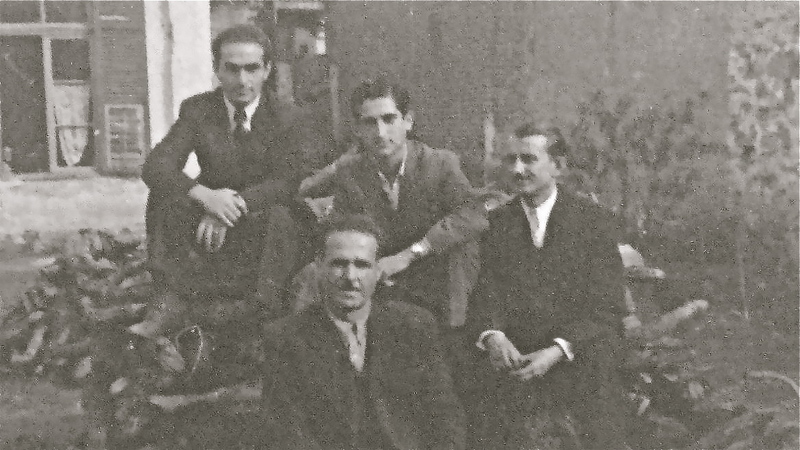 Sitting on the wood pile, from left, top row: Odysseus (Yiapitzoglou's cousin), Helias Doundoulakis, and Nicos Oreopoulos; foreground, Nikitas. Kyria Eleni's apartment is seen in the background with the shuttered windows. April, 1944. 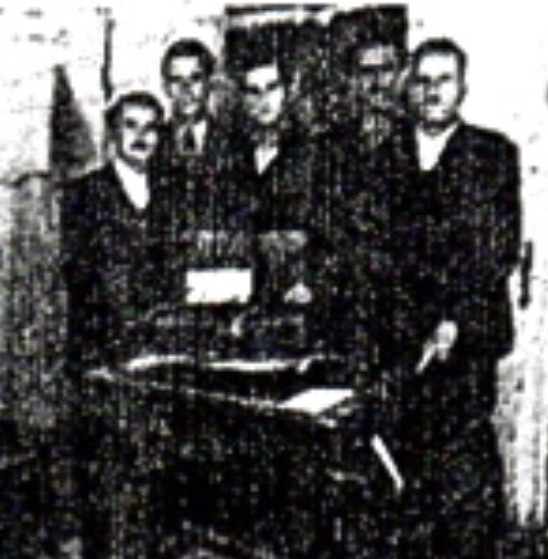 The organizers of the Salonica "cell" with team members standing behind the wireless radio, in the Jewish textile factory. Left to right: Nicos Oreopoulos, Cosmas Yiapitzoglou, Helias Doundoulakis, and the guards, Nikitas and Stavros. 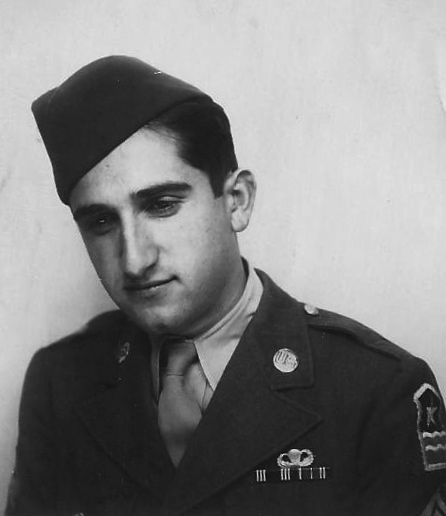 October, 1944. 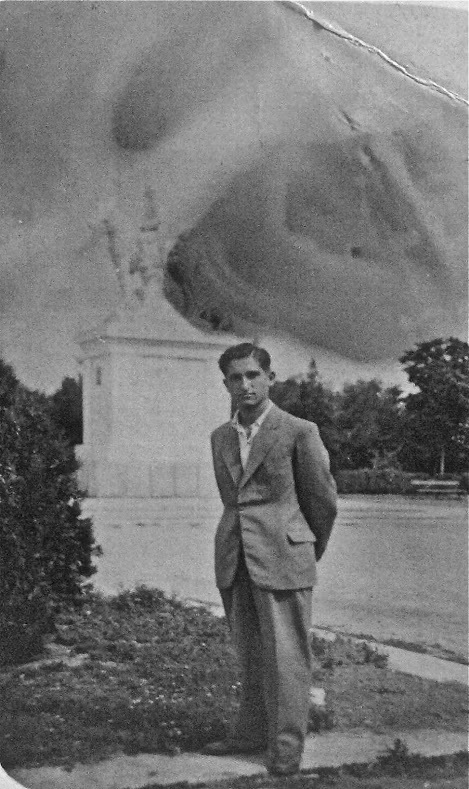 This seemingly innocent youth in Salonica, posing as a businessman, was in reality an OSS agent. 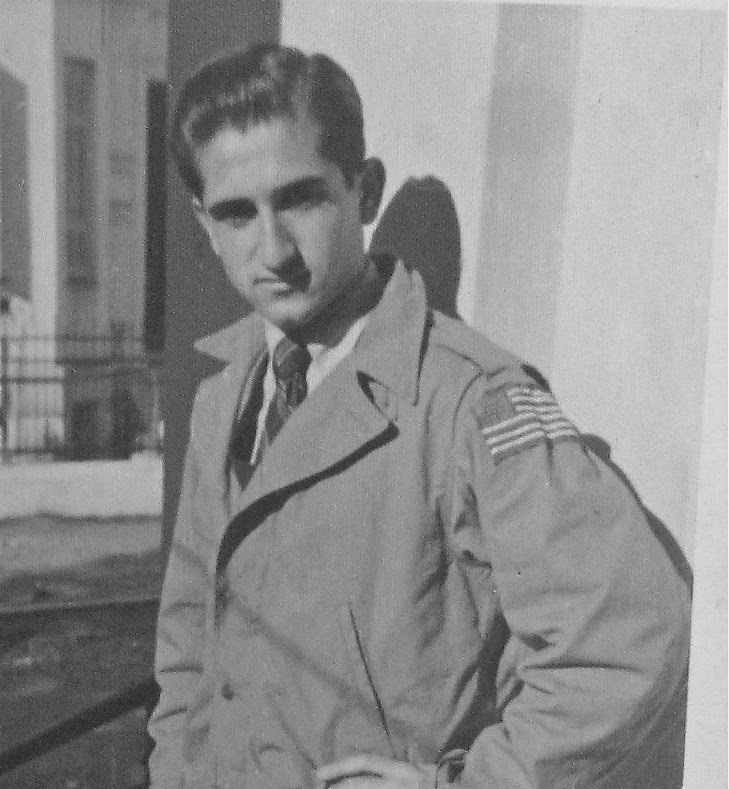 Helias Doundoulakis bested the Gestapo's many attempts to find him, photographed here in Salonica just prior to the Germans' retreat. August, 1944. 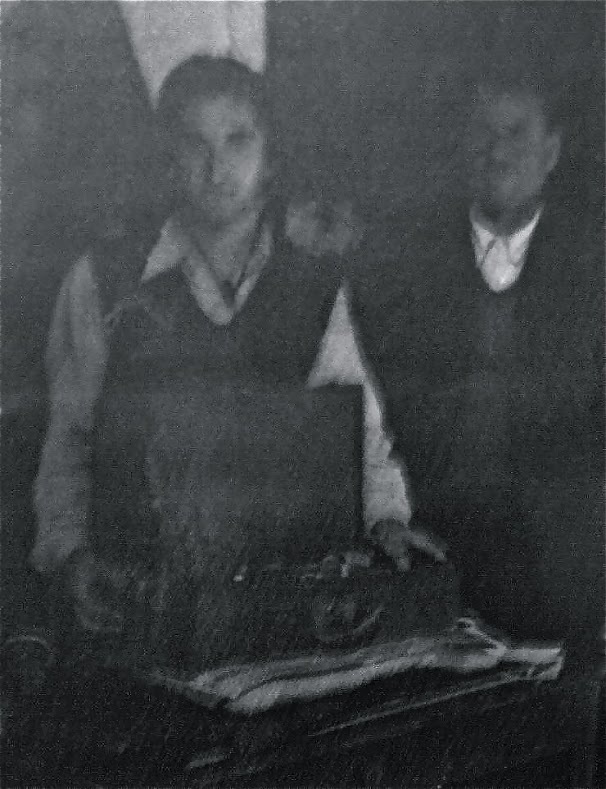 OSS agent Helias Doundoulakis, with his guards Stavros and Nikitas (partly seen standing behind the author) with the wireless. December, 1944. Helias Doundoulakis with Nikos Oreopoulos in the Jewish textile factory where the wireless was hidden. 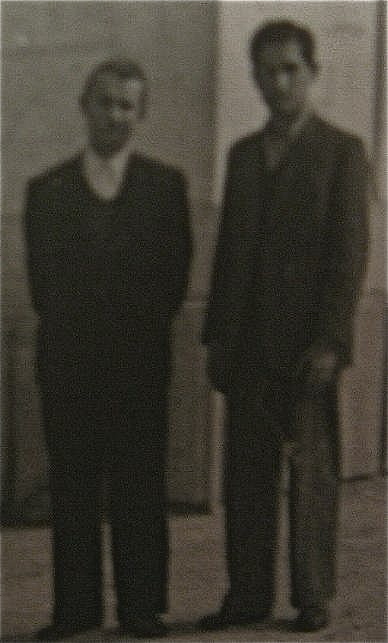 Photo taken the day of the last transmission to Cairo OSS. 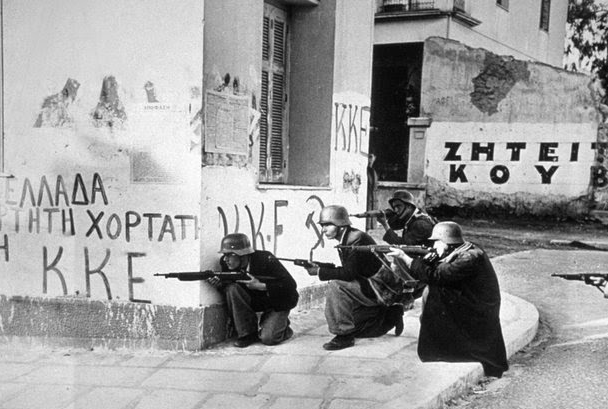 Greek-communist ELAS revolutionaries in Athens, wearing captured German helmets. On the walls is written KKE, the Greek Communist party. December, 1944. Helias Doundoulakis in Bari, Italy. 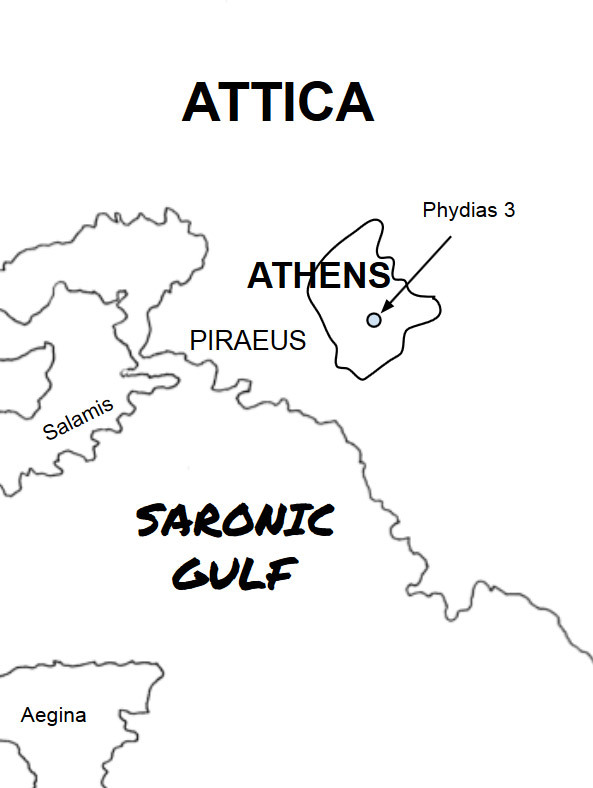 With the Greek civil war brewing, the author was sent to the OSS-Bari Station. Here, the author wears the jacket given to him by the OSS lieutenant on the British ship. 1945. Cairo. Sgt. George Doundoulakis and Cpl. 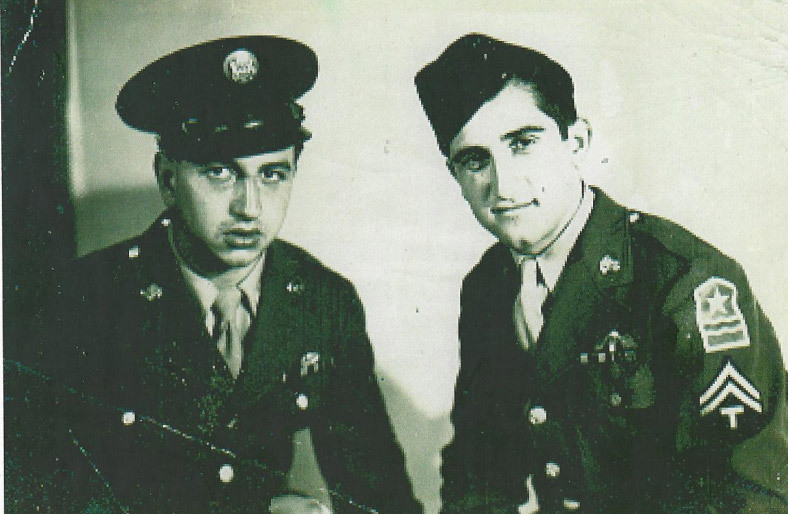 Helias Doundoulakis, reunited after their successful missions. 1945. 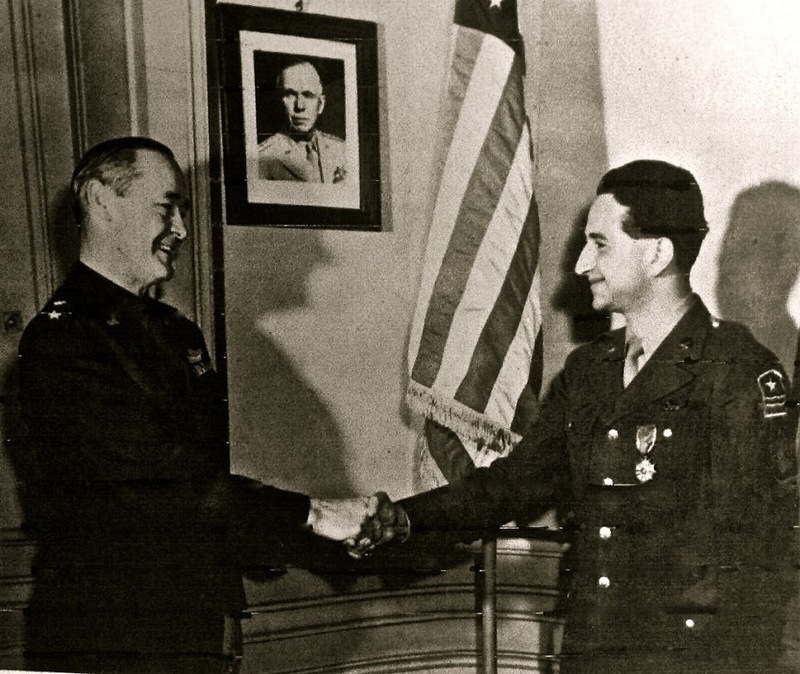 General Giles awarding George Doundoulakis the Legion of Merit. 1945. 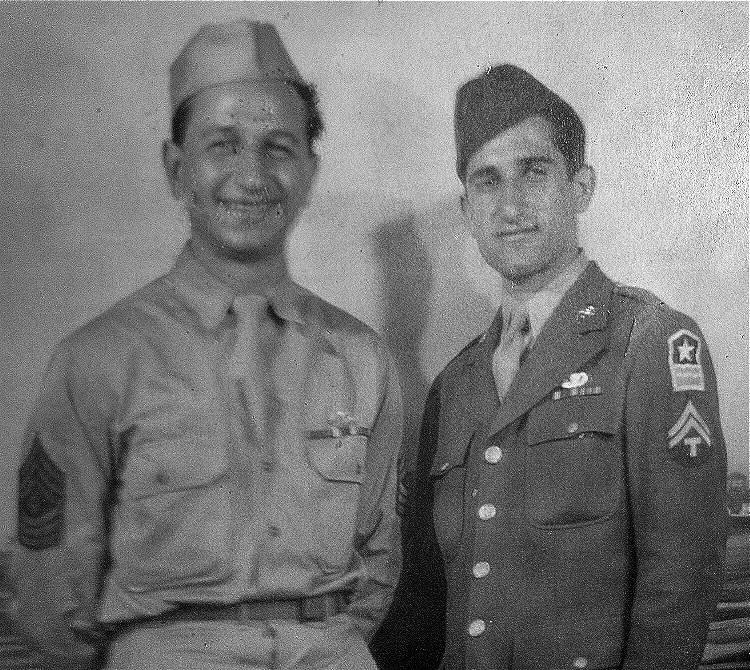 George and Helias Doundoulakis prior to leaving the OSS spy school in Cairo. 1945. 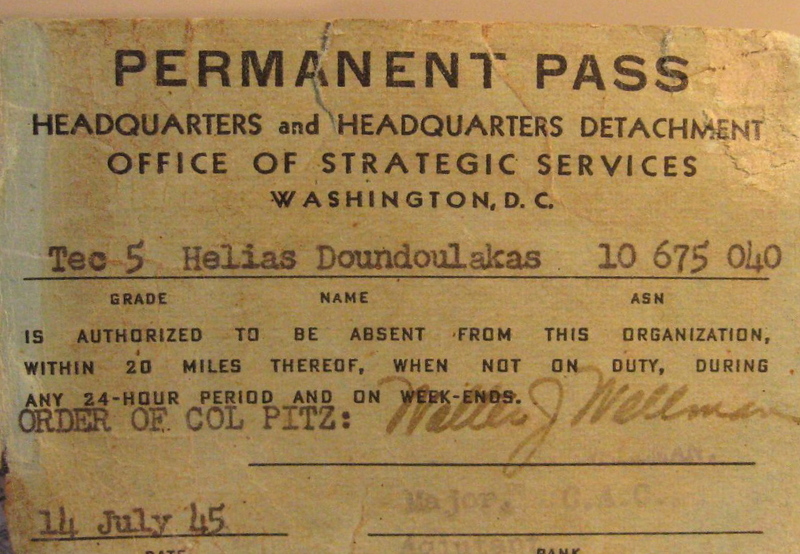 Helias Doundoulakis at OSS Headquarters after the war, Washington, DC.